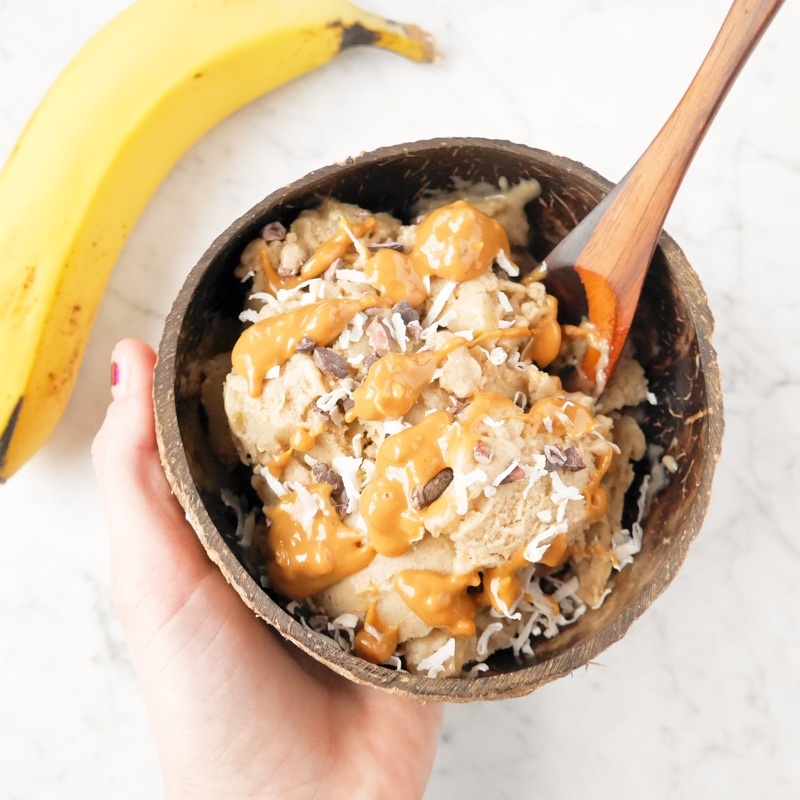 BANANA Nice Cream... (in a Coconut Bowl.. can someone say summer?!). How about a healthy, delicious, treat that you can even eat for breakfast!? Count me in. Follow the guidelines below & enjoy! PREP: Peel your ripe, spotty bananas (best for eating!). Cut up your bananas in small slices. Place in a ziplock bag and put in the freezer for at least an hour. This is the perfect time because they won't completely frozen!! And much, much easier to blend. (If your bananas are already cut up and have been frozen for awhile, let them sit about 15 minutes before blending). BLEND: Throw the banana slices in the blender and pulse/blend until they slowly turn into crumbles, and then into thick nice cream. Scrape down sides as you go. ENJOY! Have this bowl for breakfast, lunch, even dinner! Or as I love.. as a snack after dinner.